As many of my dedicated followers and listeners know, I haven’t been able to take new students since the birth of our daughter in order to keep up creating French content for you. 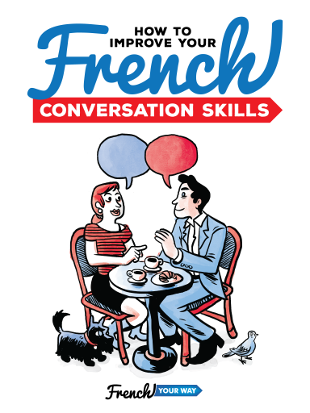 I’d like to test a new concept to spread French to as many students as possible while at the same time helping you personally with your French and your questions. 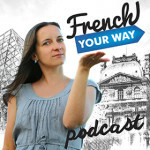 If you’d like to participate and don’t mind being recorded and maybe featured on my French Your Way Podcast, then book a French lesson on Skype with me! comment a text / article, etc. Note: The sessions are casual, not recurring. When you book a French session with me, it doesn’t lock that day and time on an ongoing basis. You can listen to it again and again, even at the gym or in your car! You can store them in your computer or re-write them as you see fit. 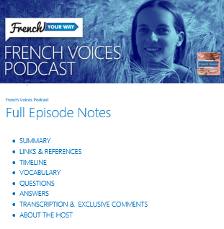 I will record our session and may reuse the content for a podcast episode (and/or other French resources). Don’t you worry! We’ll only use your first name and your face will not appear. I will also edit out any personal information and any part that you don’t feel comfortable sharing. The cost for one 30-minute session is $55 (USD). If you live in Australia you can pay in AUD by direct debit. Contact me for price and details.